The Comanche is more capable than ever before with the suspension and traction upgrades that have been performed. Now that I have a competent truck on the road and trail, the last piece of the puzzle is to keep it looking great. That means adding armor to protect all sides of the vehicle. And since the Comanche is still not the most extreme vehicle in the pack, solid extraction points front and rear are essential. The stock front bumper wasn't good for much, but at least it was still straight and had tow hooks. 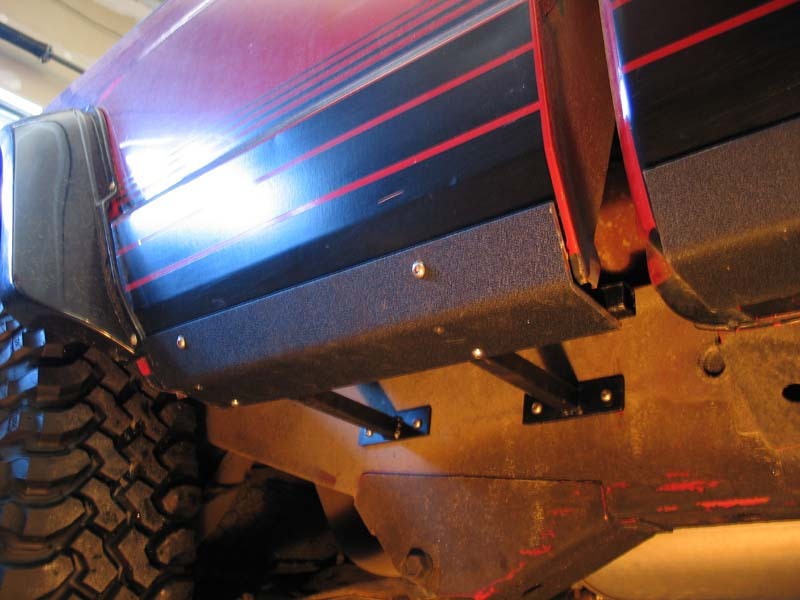 The ARB Bull Bar comes with stout mounting brackets and bolts right in place of the stock bumper. For the front of the vehicle, I chose an ARB Bull Bar. Typically I am forced to chose between asthetics and function when shopping for parts, but the ARB Bull Bar is the best looking, most rugged, function bumper available for the Comanche/Cherokee, as well as for a host of other applications. 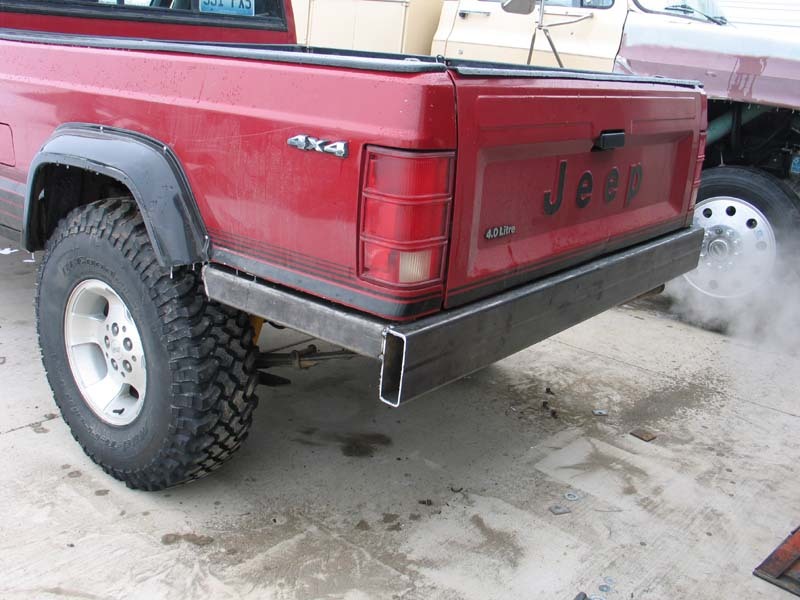 The ARB front bumper is constructed out of 3mm thick mandrel bent steel and matches the lines of the Comanche perfectly. 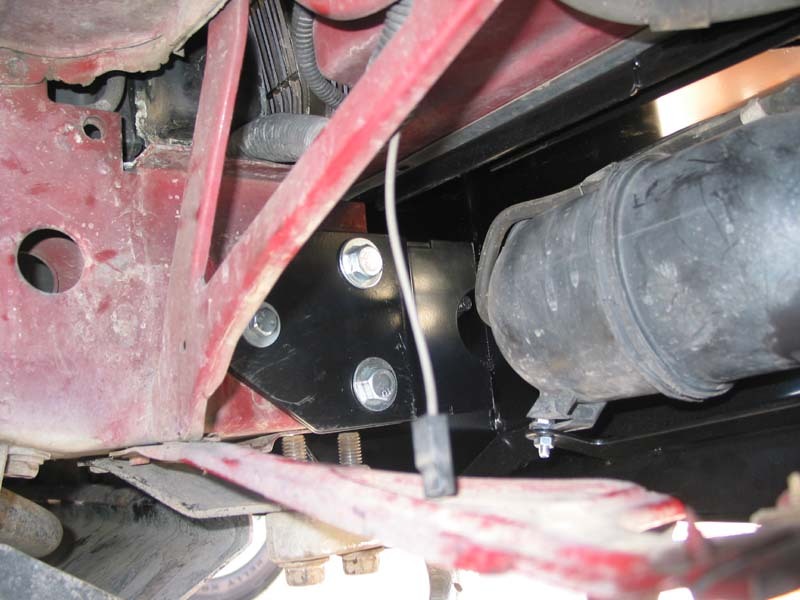 It also offers more ground clearance than the stock bumper and includes recovery points and mounting holes to bolt right up in place of the stocker. 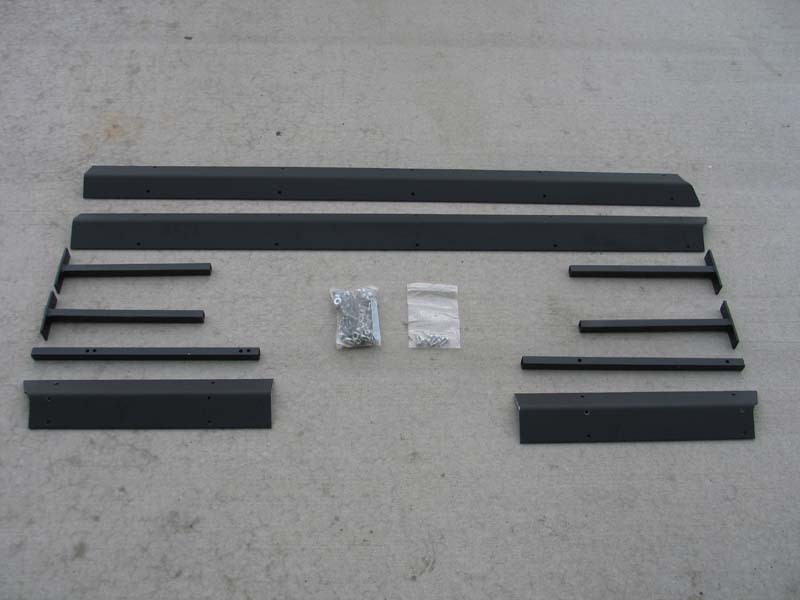 While on the subject of mounting holes, there are an abundance of tabs on the Bull Bar for everything from auxillary lights to a winch to a CB antenna. Although I found the instructions to be rather vague, mounting the bumper was a breeze, with all bracketry lining up perfectly. 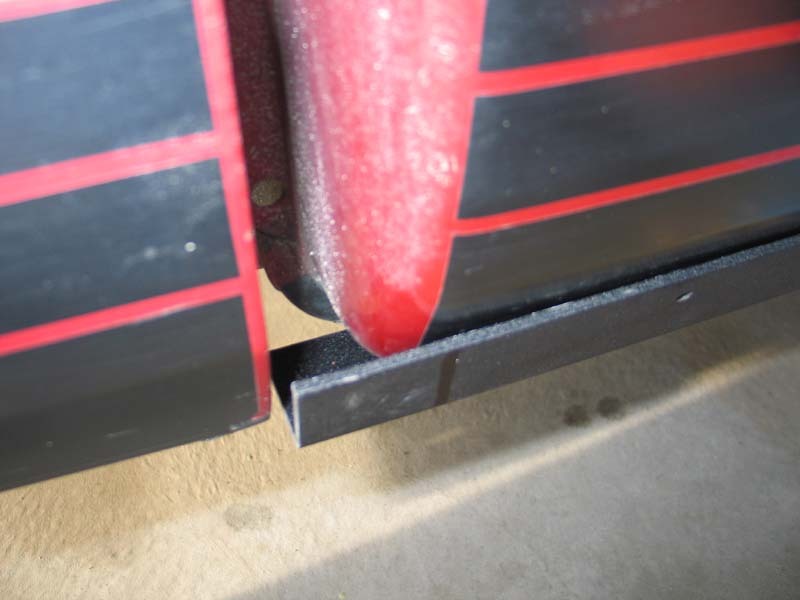 The only difficultly was maneuvering the portly bumper into position, its stout construct became obvious when I tried to heft all 75 pounds onto the front of the Comanche. A floor jack and an assistant made the task much easier. Once the bumper was in place I used the included Scotchlok connectors to splice the lights in the bumper in with the stock parking lights. 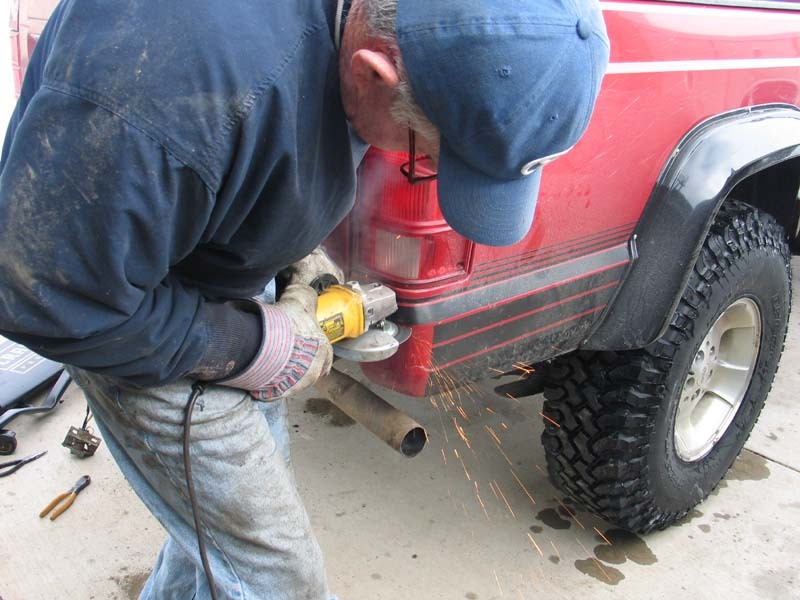 It was necessary to trim the Trail Rails in order for them to fit properly with the aftermarket fender flares. Next I moved on to the sides of the truck. Remember that this vehicle has a 103 wheelbase and is only shod with 33 tires. Often I find myself travelling with short wheelbase Wranglers riding on 35 tires, so rocker protection is crucial. With this in mind, I gave RockRatz a call. 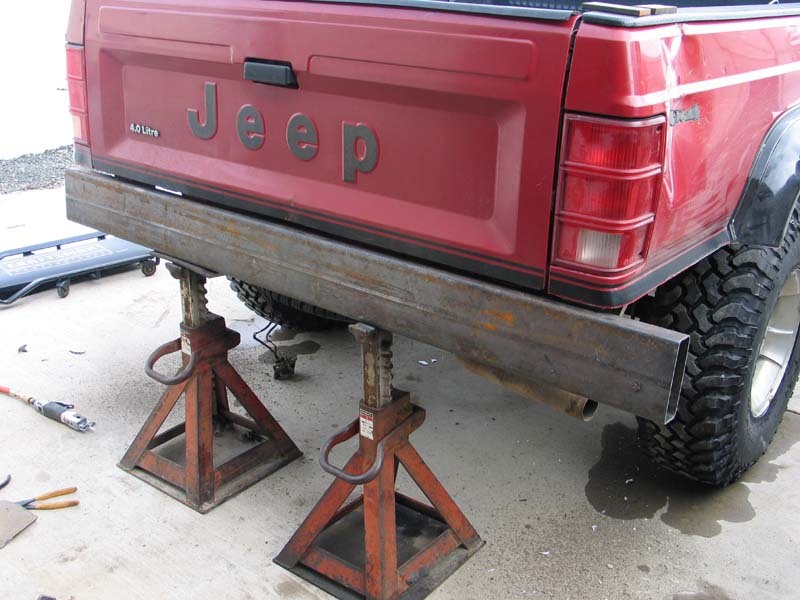 Rock Ratz offers their Trail Rails for XJ Cherokees, and now for MJ Comanches as well. The trail rails I ordered showed up promptly and were well packaged, although even the most sadistic UPS driver would be hard pressed to damage these rocker guards. Constructed out of 3/16 formed steel and including all necessary hardware and detailed instructions, the RockRatz trail rails give me peace of mind that the doors will still open properly after a day on the trail. I highly recommend getting the upgraded mounting hardware, which consists of jacknuts that expand into the body and allow you to firmly affix them in place with the supplied button head cap screws. 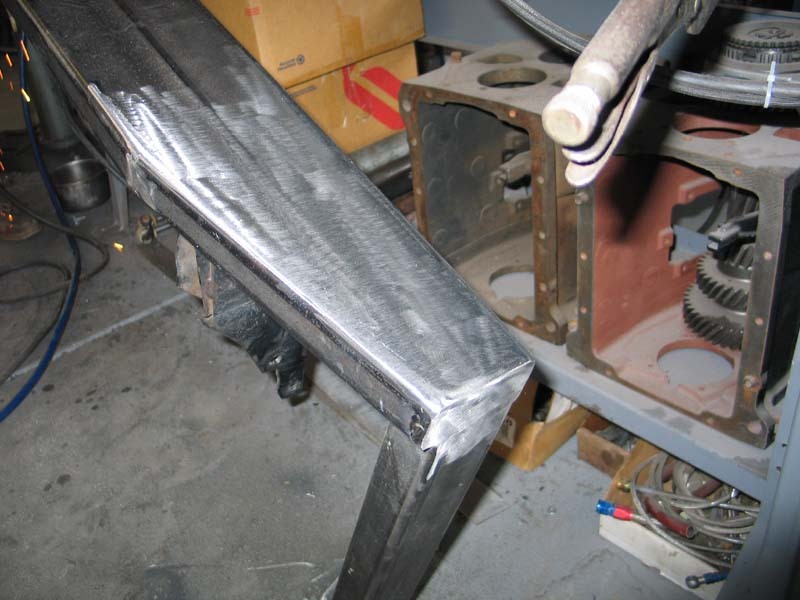 The end result is rails that stiffen up the unibody chassis, leading to less fatigue in the future, all while providing far more ground clearance than other options on the market. Installation was easily completed in an afternoon with only a drill and a few hand tools, thanks in part to the detailed instructions and straight forward product design. Once the jacknuts were installed I siliconed the included hardware in place to prevent water getting into the body and potentially rotting it from the inside out. Installation of the Trail Rails was easy, and the end result is sturdy and pleasing to the eye. With limited options for a rear bumper, I started with raw materials and worked from scratch. 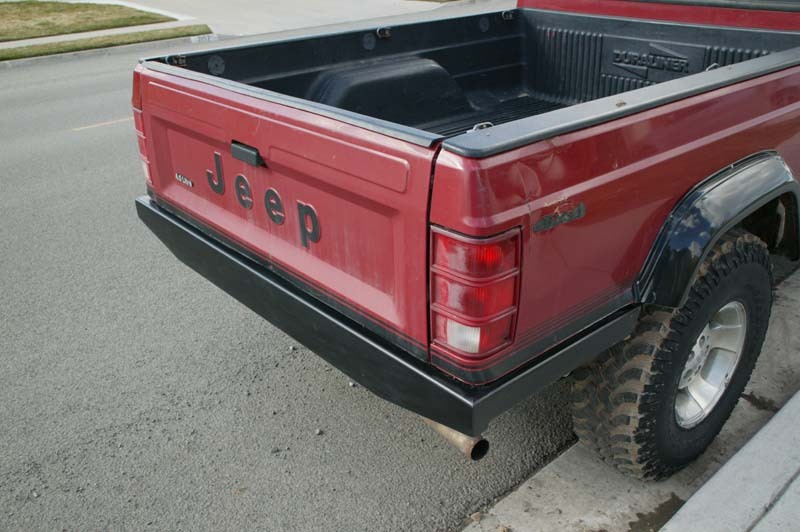 The final piece necessary to bulletproof the Comanche was a rear bumper. 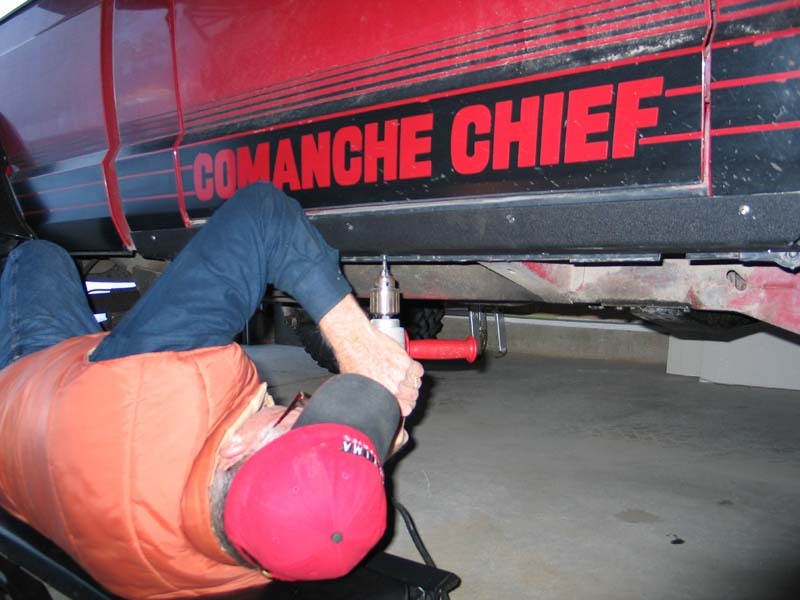 This proved to be the most challenging product to locate as well, as the Comanche utilizes a different mounting pattern in the rear than the more popular Cherokee. This led me to fabricate my own rear bumper out of 3/16" wall, 2x6 square box tubing. I removed the stock bumper and receiver hitch, along with the bumper mounting brackets. I decided that the easiest thing to do was to modify the stock brackets and weld them to the new bumper. I also trimmed the lower sides of the bed behind the tires and wrapped the bumper around the sides of the truck with 2"x3" square box tubing. This was done with an angle grinder and cut-off wheel, and provides more clearance AND additional protection, a win-win situation. At the same time I took the opportunity to push out the dent in the right rear corner of the truck and make it a little more presentable. The rear portion was tapered to meet with the smaller box tubing on the sides and provide clearance at the corners. I plan to add the license plate and some d-rings to the rear bumper in the near future, however I did not have time to accomplish this before the Comanche was called into action. 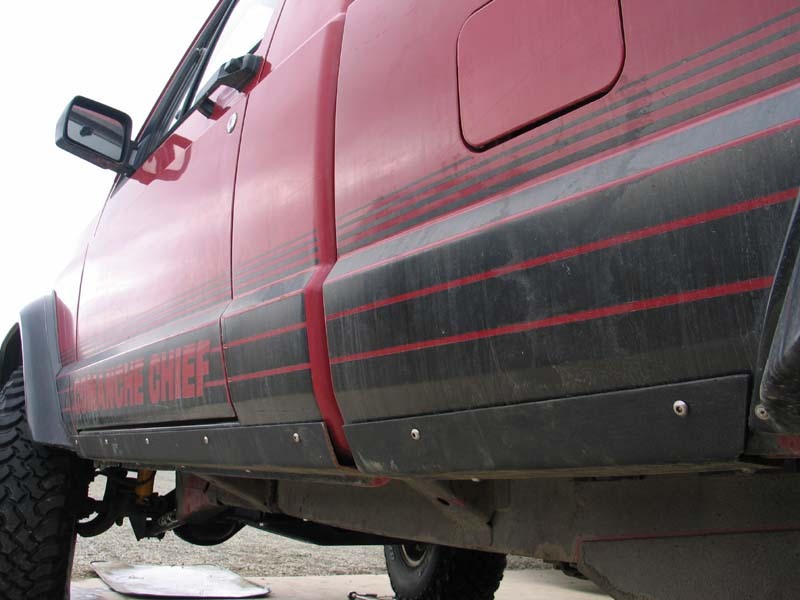 After all this hard work was done, Rock Ratz released a rear bumper specifically for Comanches. If I had it to do over again I would just order their bumper, as it would save a significant amount of time and effort. 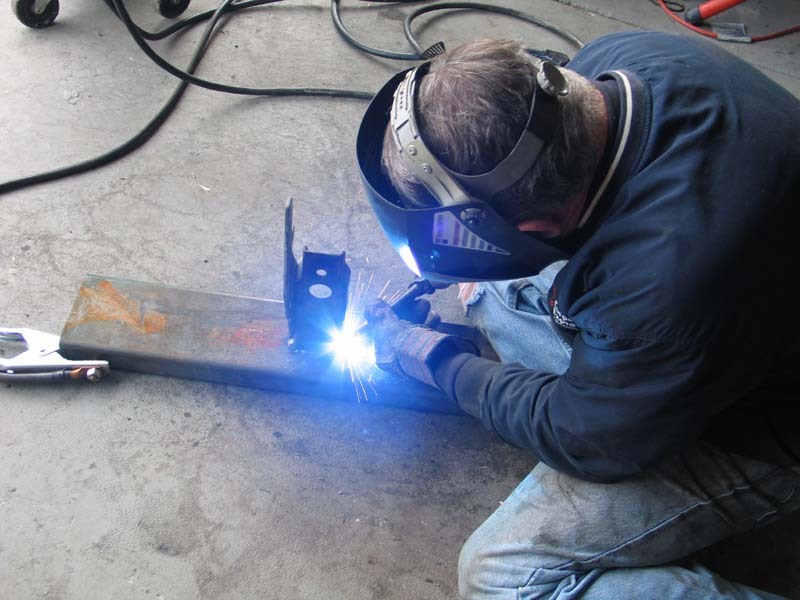 After plenty of measuring, welding, and grinding, the rear bumper began to take shape. All of the newly installed parts performed well when put to the test. Before the paint on the rear bumper was even dry, I bolted all of the armor up and headed south to Panamint Valley to meet up with some friends. 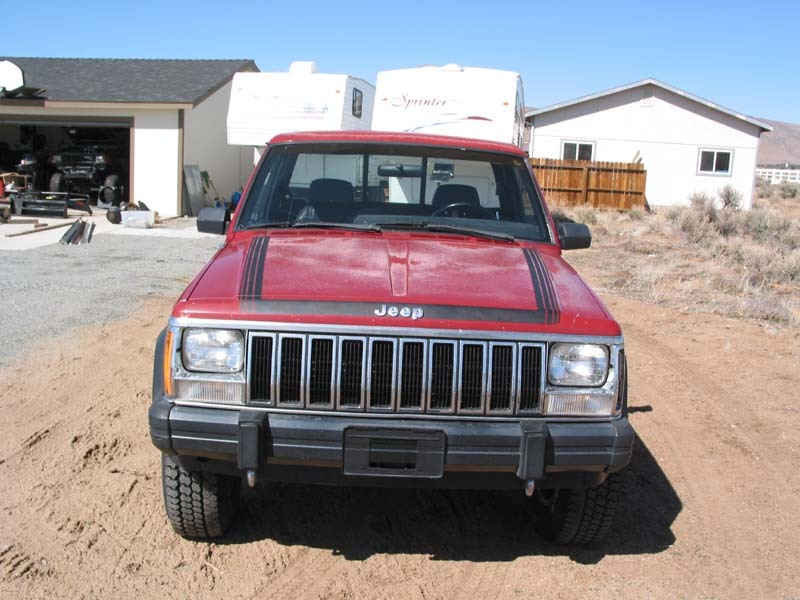 The Comanche is now perfectly outfitted for this type of trip, which involves lots of miles on pavement and washboard roads, moderately difficult wheeling, and carrying everything you need for several days in the backcountry. On this particular trip we took a trail that led us to the Defense Mine. The trail contained many small, loose rocks along with some larger boulders as well. I was thankful to have the new armor for the protection, ground clearance, and recovery points. 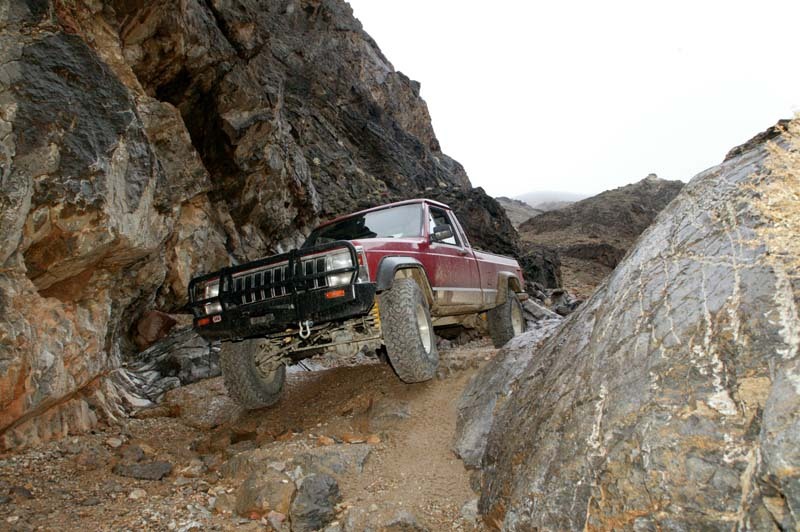 When a Cherokee with traditional rock sliders tried to follow our lines, they often got high centered, despite running the same size tires as my Comanche. The additional clearance and protection in the rear also proved an asset when descending off of large rocks. At this point I am very pleased with every aspect of the Comanche and feel that I have accomplished exactly what I set out to do.